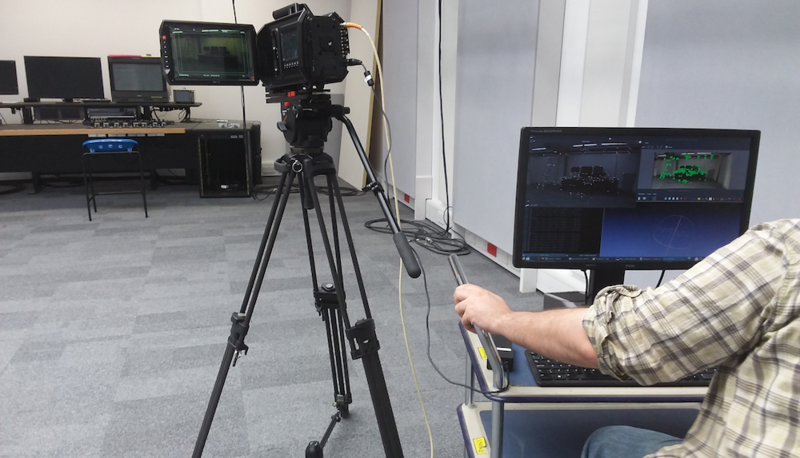 After almost a year of prototype development, the University of Surrey successfully tested the camera tracker module, demonstrating robust camera tracking delivered at an average of 50 frames-per-second. · The initialisation process builds a model of the studio, identifying a set of landmarks, parts of the scene that are easily recognisable from different viewpoints. · The tracking process estimates the position and the focal length of the camera by locating these landmarks on the video stream. 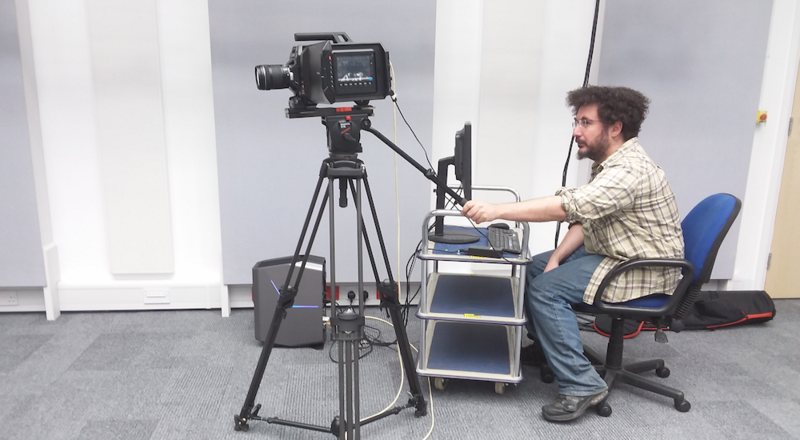 The test took place in CVSSP’s new Visual Media Lab, a unique visual media research facility equipped with 16 ultraHD and 8 HD broadcast cameras, a motion capture system, and real-time video-processing capabilities. The first ever research activity in the facility- performed on the day it was commissioned-, the test used a Blackmagic Ursa and an Alienware R5 desktop computer, receiving images via a Blackmagic Decklink frame grabber. The equipment and the test conditions closely mimic those that VisualMedia is expected to handle in a real broadcast situation. The Surrey team is looking forward to the user training in Madrid at the end of May. The subsequent validation phase will set the direction for further development of the tracker, prior to its commercial release within the VisualMedia product.